I love my basics, nudes and earthy tones, but sometimes you have to go a little crazy. 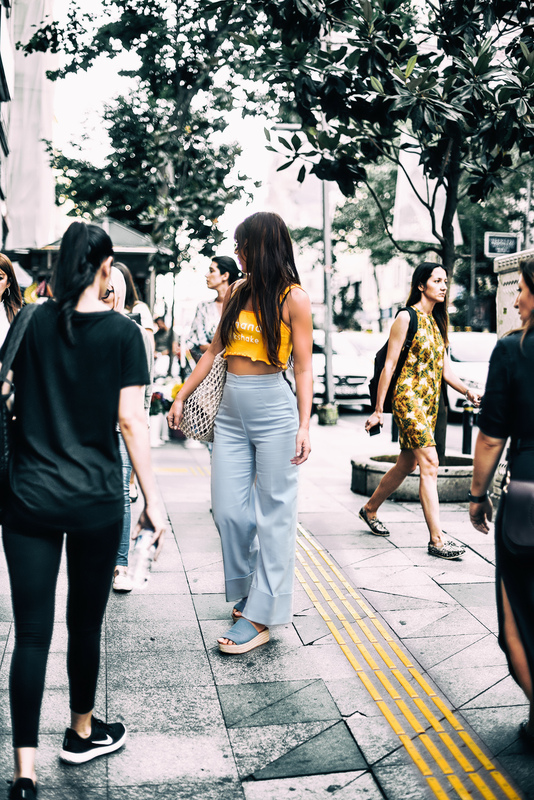 Now I realize that wearing a yellow crop top is not crazy for everyone, but it is for me 😉 Istanbul is such a fashion paradise and you can basically wear whatever you want and be as colorful as you like. I love that city for it’s bold fashion statements and clearly it’s one of the best places for shopping in the world. I hope you enjoyed this summer look.